MIKESHOUTS | Page 1185 of 1220 | Tech Culture and Lifestyle Stuff. WiFi and sharing are not limited to just electronic gadgets and social network sites. they have come to bathroom scale in the form of WiFi Bathroom Scales. what an apt name that tells what it does, isn’t it? this isn’t your average bathroom scale. this tempered-glass and aluminum bathroom scale is a digital scale that comes with back-lit digital display screen. and it don’t just stop there. the scale automatically records your weight, fat mass and BMI (Body Mass Index) each time you weigh yourself. the scale then uses WiFi to send these informations to your computer or iPhone. alas, weighing has become much more complicated now that you can track the above mentioned results on a password protected website or from the free iPhone app. remember the sharing part? yea, you can even sync your results with Google Health or share them via email, Twitter or Facebook. that’s if you’re really proud of your stats. i probably won’t want to share my stats. i am too ashamed to do so. though, i still can’t comprehend why should i be sharing my stats. nevertheless, welcome to the future of weighing. WiFi Bathroom Scales truly lets you see weighing in a different light. if you’re already stocked with the latest, technologically advanced gadgets and thinking about what’s next on the list. this could be it. there are so much talk about solar energy, wind energy and i think it’s high time somebody starts thinking about water conservation – which is also an important resources that we can’t live without. with the ocean covering 70 percent of the earth, water purification could provide us with clean, drinking water from this abundant resource. not to mention, places that do not have access to clean drinking water. 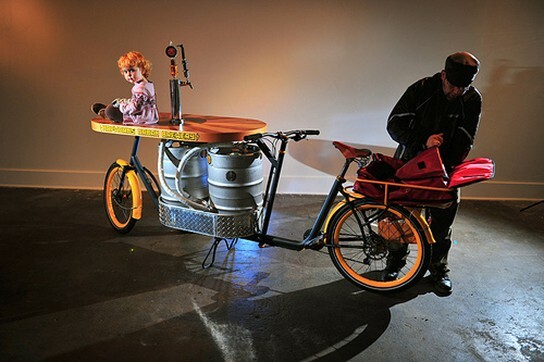 at least this is what designer Chao Gao has in mind with the portable water recycle device, dubbed the C-Water. sea water, C-water. get it? or maybe not. it could be just a coincidence or simply means ‘see water’? nah. anyway, C-Water employs really simple method of distillation by means of evaporation. 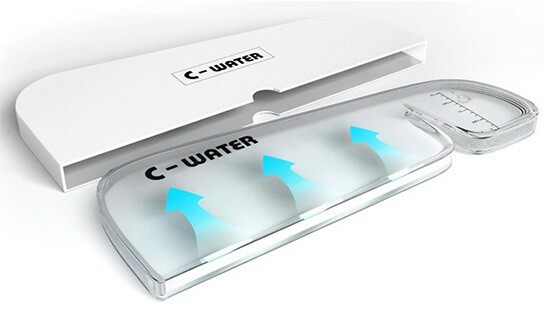 the C-Water is a slim device and several of it can be combined together to create a larger C-Water system. power to the C-Water is bestowed by the sun. there’s not even a single electronic or battery involved. you couldn’t get anymore environmental friendly then this. 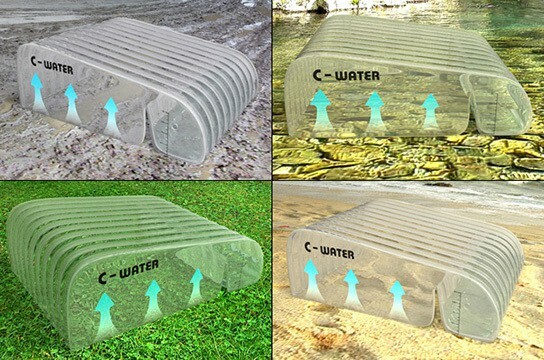 C-Water is light weight enough to be able to float on any calm water surface. 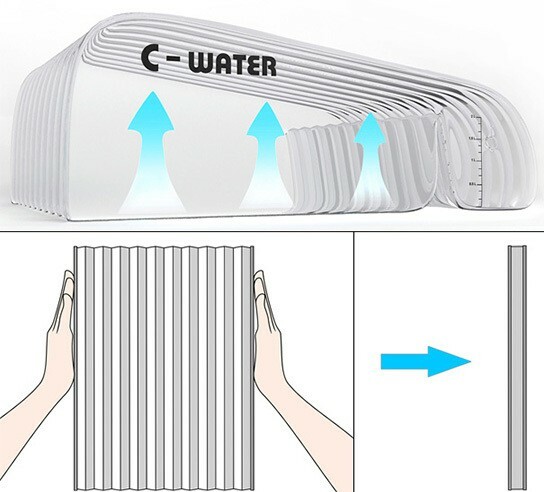 the operation of the C-Water is completely idiot-proof, hence we wouldn’t want to bother elaborating how it works. just check out the images below. they are really, ridiculously simple and self-explanatory. basic science at work. however, there are no details on the rate of water purification at this point. from the little knowledge i had on science, it’s going to take quite a bit of time. 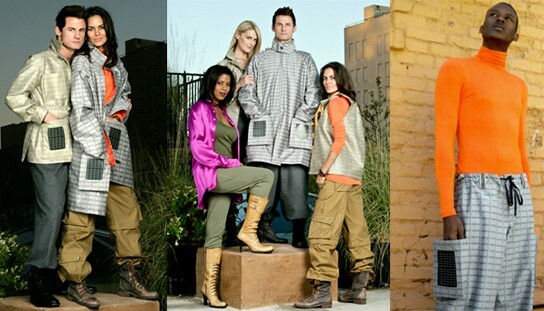 then again, if you are out in the wild, this could be a life saver gadget. leaked iPad Mini surfaced in Taiwan – real or bluff? how real is this? by now this news must have spread like wild fire. 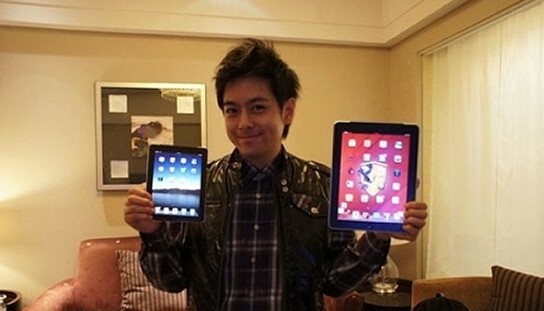 Jimmy Lin, a Taiwanese pop star published on his blog, a picture of him holding up an iPad and what looks like a mini iPad. nothing much was said except for the headline “new toy iPad mini”. if it’s legit, we are curious how it get it. 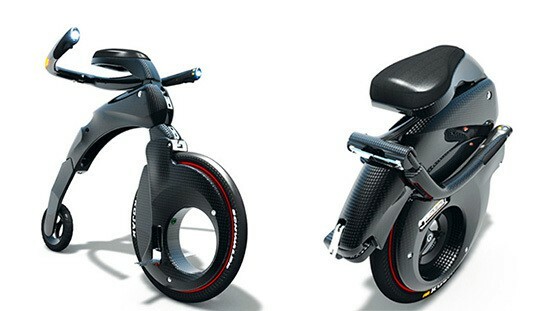 whatever it is, if it’s another ‘lost prototype’, then i guess he will be hearing from Steve Jobs real soon. Steve are you reading this? is it true? if it is true, can you let us in on some sneak-peek already? first of all, this isn’t a device dock. it is a stand that fits most portable touchscreen devices such as the iPad, iPhone, ebook readers et cetera. there’s no power to it, just a simple solid aluminum that’s perfectly balance to hold up your beloved devices. designed by 11 year-old boy from Pennsylvania, USA, as a challenge by his dad with a phone as the bounty. it took little Dino 5 months to get to what DZDOCK One is today. well, what can i say, simple and functional. besides, if you decided to quit on certain devices and get another model or make, likely you can still use this stand. 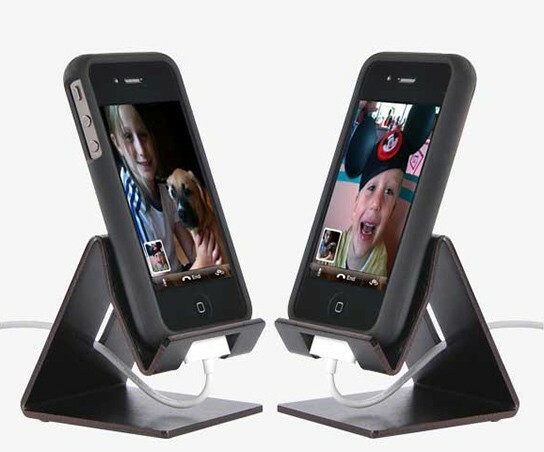 the DZDOCK One comes in eight different colors and retails at $25.00. 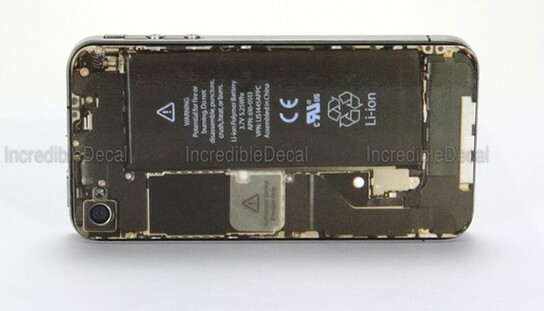 now, you can actually see your iPhone 4 naked (back side only, cos’ we still need to use the touchscreen, don’t we?) and get all excited about it. no, i am not suggesting that you to remove the back panel. duh! that will only expose your phone to everything else that’s not good for your phone. for $9.99 you can slap on an iPhone 4 teardown decal that shows the innards of your iPhone 4 without putting it at risk. get it? seeing inside without opening it up. no X-ray or bionic vision involved here. just decal.